Ever wanted to drive on the race track? Do you love holiday lights? Trying to get into the holiday spirit? 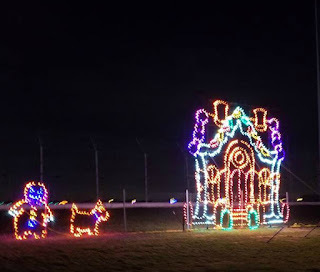 Tickets are on sale for the inaugural Magic of Lights holiday season spectacular, at Gateway Motorsports Park Gateway Motorsports Park, in Madison, Illinois, will transform into a festive wonderland with the Magic of Lights drive-through Christmas lights experience this holiday season. The Magic of Lights holiday experience will start on Friday, November 17 and continue through New Year's Day. 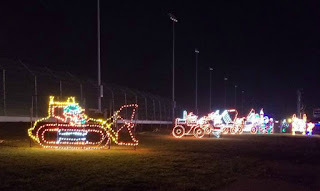 The family-friendly "one carload, one price" holiday attraction will run from dusk each evening to 10 p.m. The inaugural Magic of Lights experience at Gateway Motorsports Park will become a new holiday tradition for the entire family. * The festival of twinkling, magical holiday lights includes a 200-foot-long light tunnel. * The 1.5-mile Magic of Lights (@MagicOfLights) course will feature more than 40 scenes of holiday lights -- nearly one million sparkling LED lights. * The sparkling LEDs will depict the favorite characters of the season, including animated snowmen, elves, poinsettias, candy canes, toy land, a Victorian village, enchanted forest and Santa Claus. * Guests will marvel at the size of the light displays, some as long as 400 feet and standing as tall as buildings. * Special party and VIP functions are available. 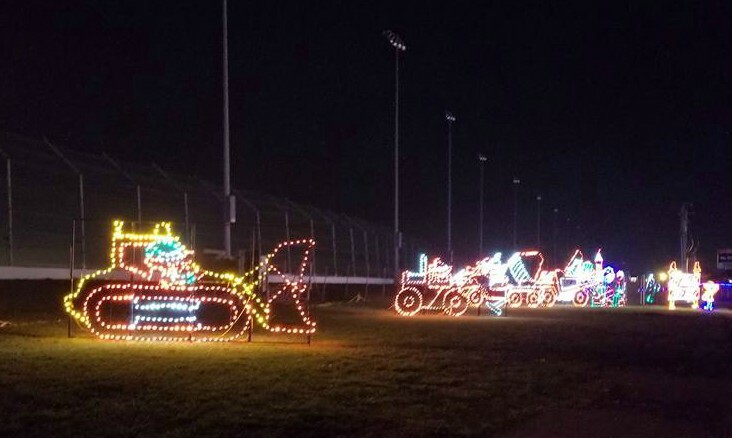 CARS (personal vehicle with 3 rows of seating or less and 2 axles or less, includes motorcycles): $15 early bird discount, $20 in advance or $25 at the gate. CARS DASH PASS (skip the line, head straight in): $40 in advance, $45 at the gate, $25 to upgrade at the gate. LARGE CAPACITY VEHICLES (limousine or commercial passenger van with more than 3 rows of seating, or with 3 axles or more): $35 early bird discount, $40 in advance, $50 at the gate. LARGE CAPACITY VEHICLES DASH PASS (skip the line, head straight in): $60 in advance, $65 at the gate, $25 to upgrade at the gate. Follow GMP on Facebook, Twitter, Snapchat and Instagram. For more information on Gateway Motorsports Park, please call (618) 215-8888 or visit www.gatewaymsp.com. Follow GMP on Facebook, Twitter, Snapchat and Instagram. *I have partnered with USFamilyGuide, and StLouisKids.com. I was not compensated for this review. All thoughts and opinions about the Magic of Lights are 100% my own.